New York Plumbing Company serving all 5 Boroughs is offering 10% discount on all plumbing services to new customers. Call (718) 725-9622 today for all your plumbing needs. 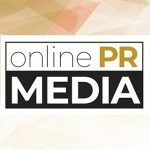 Online PR News – 26-March-2011 – – First Choice Plumbing has been serving New York Residential and Commercial customers for the last 25 years. We also serve the 5 Boroughs - The Bronx, Brooklyn, Queens, Manhattan & Staten Island. Our Master plumbers are Licensed and Insured. Our costumer focus, value & quality differentiates us from the competition. Our licensed plumbers are trained, have the most latest plumbing equipment and always do a flawless job. We strive to build a loyal base of clientele that repeatedly use our service for Indoor & Outdoor Plumbing that includes besides other trades, Sewer & Water Main services, Repairs, New Installations from Planning to final execution of work. We highly specialize in contemporary remodeling for Interior, New Construction, Renovation & Alteration projects. With First Choice Plumbing you will have peace of mind knowing that the job was done right, on-time, on-budget and in compliance with local codes by a licensed, insured & bonded company. We guarantee it. We are residential and commercial plumbing service company based in New York City. Proudly serving home owners and commercial clients in Bronx, Queens, Staten Island, Brooklyn, Manhattan of New York City. Please call (718) 725-9622 us today for all your plumbing needs. For emergency service call us at (718) 614-4884.